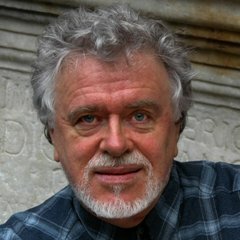 As Chief Conductor and Artistic Director of the Vadstena Academy between 1970 and 1984, Arnold Östman focused on two main fields: new works and developing an Italianate baroque repertoire. Irrespective of which field he was pursuing, he strived to stay true to the vision of the creator. This focus continued upon his appointment as Artistic Director of Noordlands Opera, where he was able to share his vision with a wider, more varied, audience. He also works regularly with the Confidencen Theatre at the Royal Castle Ulriksdal, where he most recently led a new candle-lit production of Mozart’s Cosi fan tutte. Carefully curated works, period instruments and the magnificent backdrop of a theatre practically unchanged since its opening in 1766, enabled Arnold Östman to expand on this philosophy during his tenure as Artistic Director of the Drottningholm Court Theatre (1980 – 1992). During these years many acclaimed recordings were produced, not least the renowned Mozart/Da Ponte trilogy for Decca Records. Wherever in the world Arnold Östman conducts from his extensive repertoire (ranging from the 17th – 20th Century), he always remains sympathetic to the vision of the composer.